OH MONDAY. – Hello? I Forgot My Mantra. Published on April 23, 2012 April 23, 2012 by i forgot my mantra. It’s total sad song weather outside. 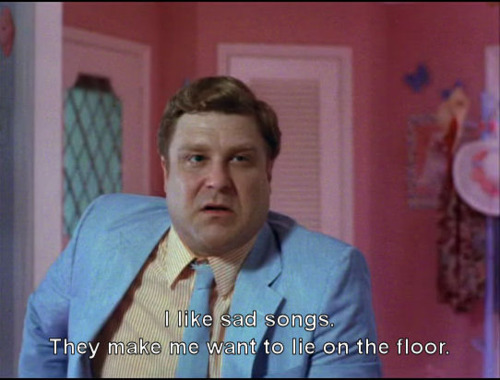 You can enjoy John Goodman’s little ditty from True Stories here. Categories People like us. Who don't answer the telephone. Previous NO CELEB SITINGS THS WEEKEND. Next SUNNY DAYS. KEEPING THE CLOUDS AWAY. I knew he’d be a star. He just had that certain je ne sais quoi!